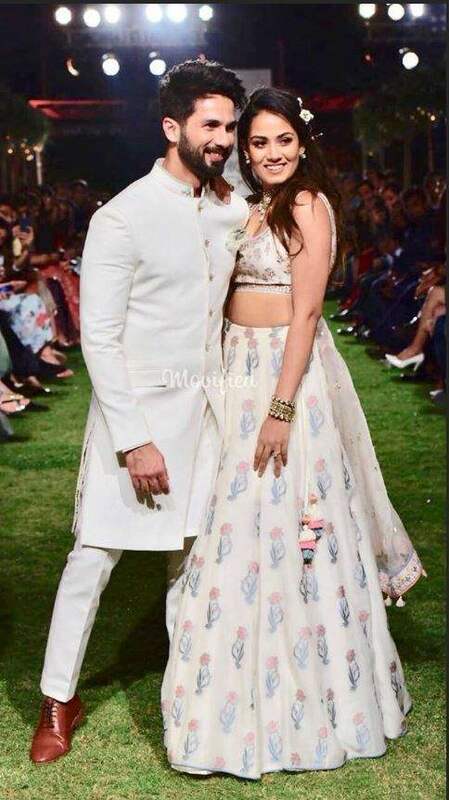 Shahid and Mira’s romance goes IMPERFECT on ramp; the lovely couple breaks into laugh! After months of hue and cry, Sanjay Leela Bhansali’s Padmaavat has finally released and garnered a thumbs up from the audience as well as from the critics. While everyone is talking about Ranveer and Deepika Padukone’s dominating characters in Sanjay Leela Bhansali’s Padmaavat, we on the other side can’t stop gushing over Shahid Kapoor’s brilliant performance as a gracious king. Like a backbone, he held the film with sheer bravery and proved his acting finesse yet again. In fact, the decision to play this role despite having Ranveer and Deepika in the cast ensemble was a bold move. And he undeniably just nailed it! Having said that, Shahid too is beaming with happiness for the kind of response he is receiving for Padmaavat and has also started shooting for his next, Batti Gul Meter Chaalu opposite Shraddha Kapoor. Last night, the handsome hunk turned Prince Charming once again. This time, for a ramp-walk with his wife Mira Rajput and here we are, smitten yet again! 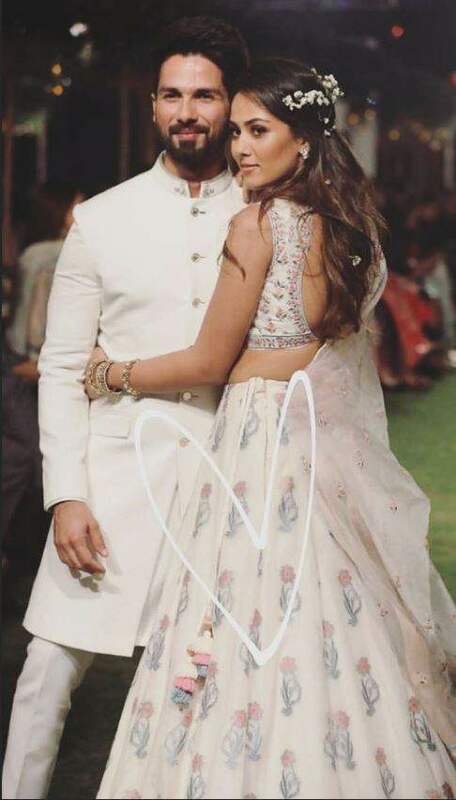 The most charismatic couple of tinsel town, Shahid and Mira closed the first day of Lakme Fashion Show 2018 last night as they walked for Mira’s favourite designer Anita Dongre. Donned in colour-coordinated ivory separates, both of them looked breathtakingly gorgeous. Shahid looked a dapper groom in bandhgala-sherwani whereas Mira made a beautiful wife in floral-printed lehenga choli. Even after almost 3 years of marriage, these lovelies look every bit like a newly-married couple. The gorgeous-looking couple lit the ramp with their adorable chemistry. Several pictures and videos of these two are doing rounds. It’s hard to take eyes off from them. Well, a hilarious incident also happened when Shahid and Mira were posing for the shutterbugs. As they stood in front of the photographers, the couple first stood smiling and chatting, and then Shahid tried to swirl Mira. But it failed and the dupatta got over Mira’s face. The couple adorably laughed over it and Shahid (the best guy in this world) gushingly said, “Sorry, Come” and laughed again. Have a look at the super-cute video! Well, both Shahid and Mira also took to their Instagram handles to share the pictures from last night. Have a look! Mira shared another one with their fingers interlaced! Shahid also shared a lot of pictures and boomerangs as Insta stories! Looks like, like us, he is also not getting over this night anytime soon. This was Shahid and Mira’s debut at Lakme Fashion Week as a couple. 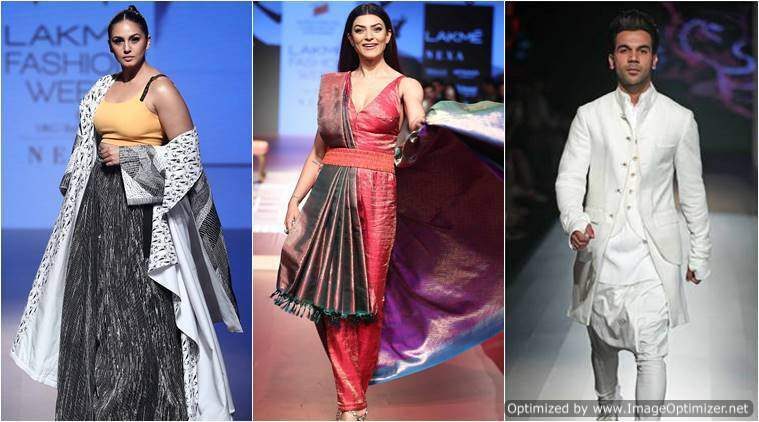 And apart from Shahid-Mira, other celebs like Taapsee Pannu, Saqib Salem, Huma Qureshi also turned heads as showstoppers on the first day of Lakme Fashion Week.